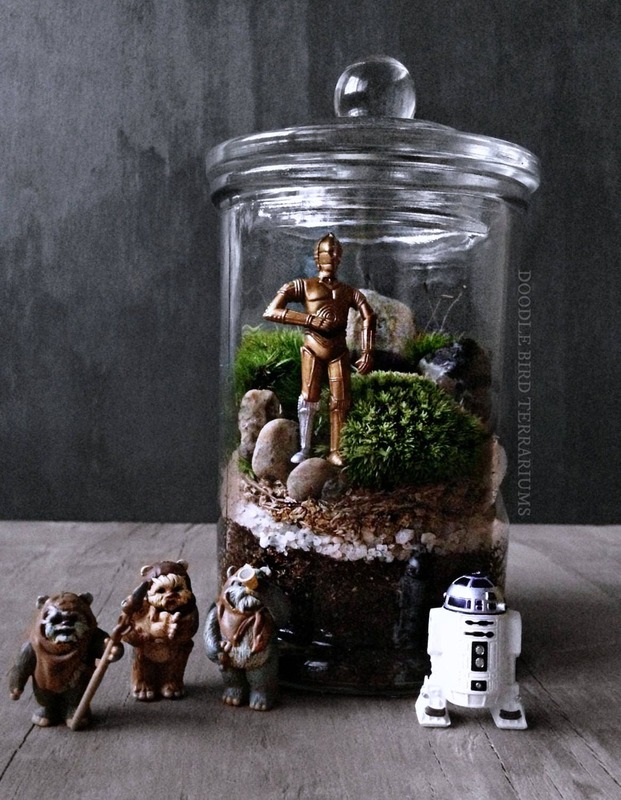 Star Wars characters housed within a glass bottle planted with fresh live moss. 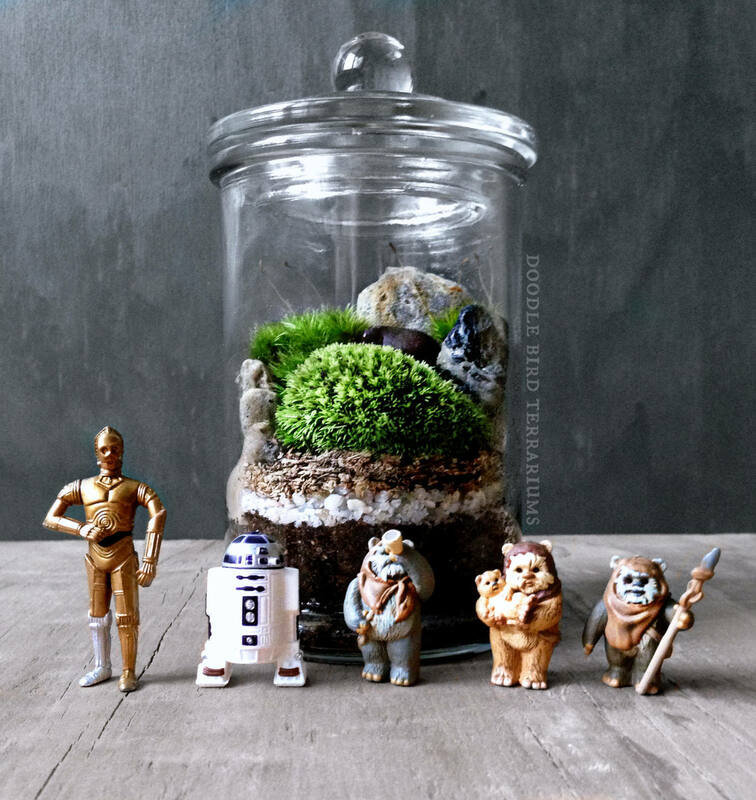 The miniature diorama landscape scene will make a unique addition to any Star Wars collection. 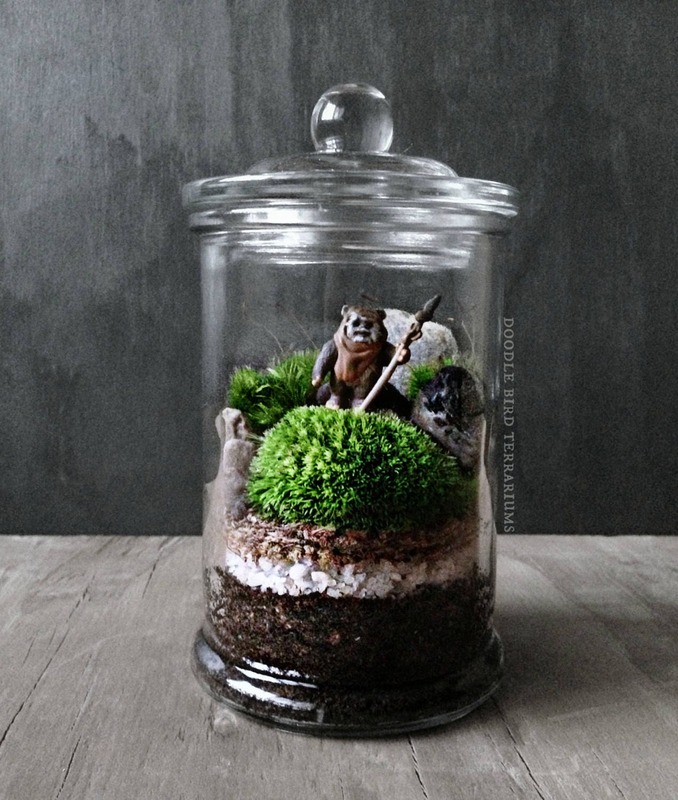 Gift set (including pre-assembled terrarium and figurine(s) of your choice; see drop down menu) arrives completely assembled and ready to enjoy. 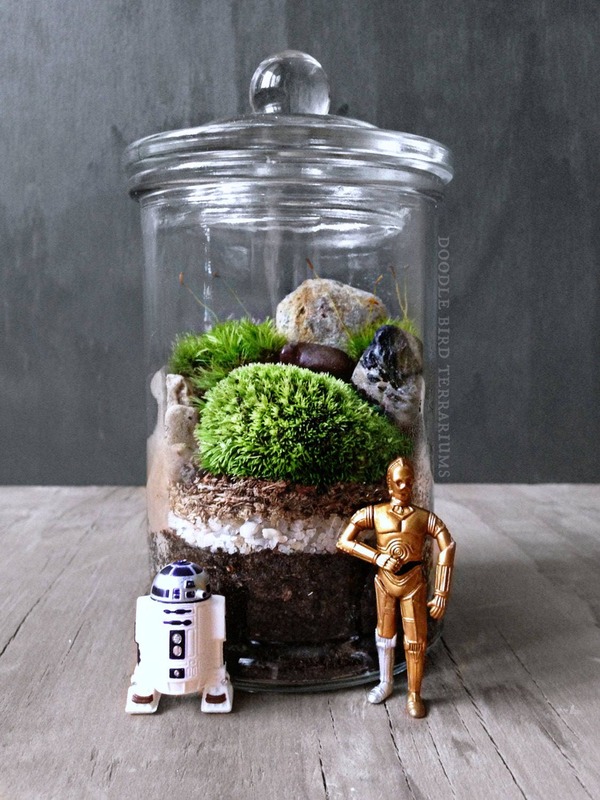 PLEASE NOTE: Figurines not sold separately from terrarium.